Pretty unusual of me but I couldn't handle the new growth. I don't know the next plan of action yet though I know I need to now focus on getting some new products to replace those I've used up. I went over to my stylist to get the touch up done and it was basically the normal routine except I didn't use a deep conditioner. I want to do that myself to ensure the hair gets the maximum benefit without rushing through the process as it happens in salons. As part of the coconut oil challenge, I have to wash twice a week but since I prefer co washing to shampoo washing twice a week, I decided a mid week co wash will be appropriate. Conditioner: I first used forever living aloe jojoba conditioning rinse and followed with Aussie moist conditioner. The former contains protein and the latter is a moisturizing one so I had to create a balance. Leave in: After rinsing out the deep conditoner, I used a towel to dry it for a few minutes - I couldn't find my t-shirt. I followed up with Aussie hair insurance leave in. Sealing: I sealed with olive oil. My phone isn't able to connect to my laptop so I post my wash day pictures on my facebook page. Kindly check and like the page to receive notifications. I've joined in at the advanced level that's why I prepooed with coconut oil during my last wash. Here are the rules ADVANCE: Start Date: Saturday May 24th, 2014 End Date: Saturday August 23rd, 2014 Apply Coconut oil to your hair and scalp, prior to washing, for 20mins – 1 hour or overnight. Massage it in focusing on damaged areas. Proceed with regular washday routine. Do this 2x/week.Apply 1-2 tsp of Coconut Oil to your weekly deep conditioner with heat. Rinse thoroughly.Apply Coconut oil to your scalp 2-3x/week. Do not rinse. (OPTIONAL) Seal with Coconut oil on wet or dry hair. * Sealed with whipped Shea butter. I have 5-7 weeks to touch up depending on when I decide on the relaxer to use. Am looking at ors hairepair, dark and lovely amla legend relaxer or ors lye relaxer. The first two are no lye and will be appropriate for texlaxing whilst the last one processes faster yet might give me a straighter texture though it won't be bone straight.I've had positive feedbacks about the ors hairepair products thus I want to give it a try. Have you tried any of the first two relaxers mentioned? What are your views about them? 1. Beginners: apply your oil once a week, twice in the day on the edges. 2. Intermediate: Apply oil 3 times a week, once a day on the edges. 3. Advanced: Apply 5 days in the week, once a day on the edges. 4. Boot Camp: Apply 7 days a week, once a day on the edges. * Use an oil purposed for hair growth. These include chapter 2000, sulphur oil, sulphur 8, kuza hair food, castor oil, mix your regular oil with essential oils, etc. 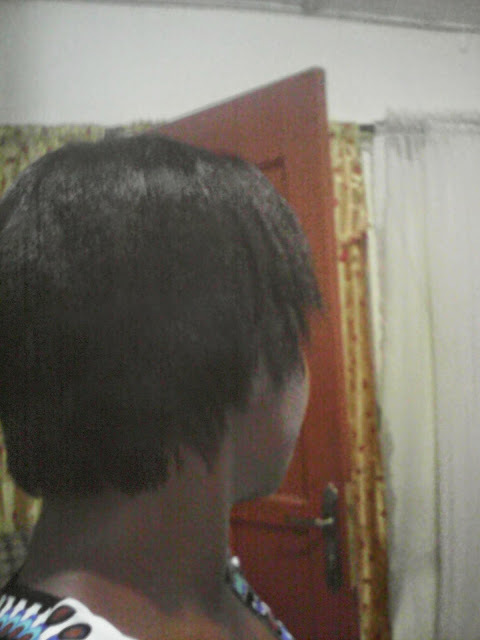 The hair growth challenge ends in a few days time, Hurray!!! Well done to all participants. To this effect, our new challenge commences very soon and as such, here are the guidelines Description The first one is the use up your stash challenge which is to help ladies get rid of products and limit their spending on products. Some also hoard products till the expire lol. Duration: 1st June-15th December, 2014. Beginners: You are to use up 30% of your products by the end of the challenge. You can only buy only 1 item when you use up 2 products in your stash. Intermediate: You are to use up 50% of your stash. You can buy 1 item when you use up 3 products in your stash. Advanced: You are to use up 70% of your stash by the end of the challenge. You can buy 1 item when you use up 4 products. Boot Camp level: You are to have only 10 products in your stash at the end of the challenge. You are allowed to buy 1 item after using up 5 products. Haven stayed off shampoo for weeks left me with itching scalp a shampoo wash this time. 6. Sealed with whipped sheabutter and air dried. I pulled all the hair back with a band and wore it like that for a while. I know I haven't shared this month's hair goals. Ah,well, I've decided to pause it till further notice because I tend to either forget it or fail more than pass the goals. Going with the flow of events seems to be working well for me so am ok with that. 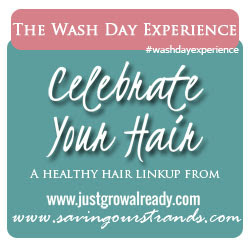 Sorry, I couldn't take pictures but I hope I can do so the next wash.
Join in the wash day link up! --> Missed the post on how to prepare your virgin hair for a relaxer? Read it here. Again, what I share in this post is based on my personal experience. For virgin hair, you may want to perform a strand test to determine how long the relaxer will take to process your hair to the texture you want especially for those wanting texlaxed hair. I didn't do a strand test though this time round and I wish I had done that. ***Section the hair into manageable portions to allow for easy application. You need to apply vaseline or some form of oil protection on the scalp. Most relaxers have instructions on how use the relaxer; please read through it carefully before applying the relaxer. For the application, I recommend starting from the back and working your way up to the edges last because most often, the hair at the edges are weak and don't need to be subjected to further torture lol. I hear this every time am asked what should be done to get healthy long hair.Well, nothing comes easy so you ought to do some sacrifices if you want to have a healthy hair. You can't keep washing your hair with toilet soap and expect to have moisturized hair- that soap is meant for the body.I've tried recommending cheap products for ladies on low budget but even that is frustrating. When the person whines about using 4gh to buy a product, am tempted to leave them to their fate. Am a minimalist so when I tell you what I do and you still feel I have to provide you with those products, I simply drop the conversation. If you have natural hair and want to relax or texlax it, what do you do? ***Well, first of all, you'll have to decide on how much texture you want left after relaxing-whether bone straight or texlaxed. ***Secondly, based on the texture result you want, choose the relaxer. I recommend a lye relaxer for virgin hair that is to be bone straight as that works faster and I consider it "stronger" in terms of processing strength. For texlaxing, a no lye might work better since it processes less faster. However, the choice is still yours to make regarding your relaxer preference. Back and Front view of my wedding hairstyle Ok, this is the first time am sharing something related to my wedding lol !I've been married for some years now. I've been down the aisle and I had so much fun during the preparations. First of all, apart from being stress free, I was also very relaxed prior to the occasion. 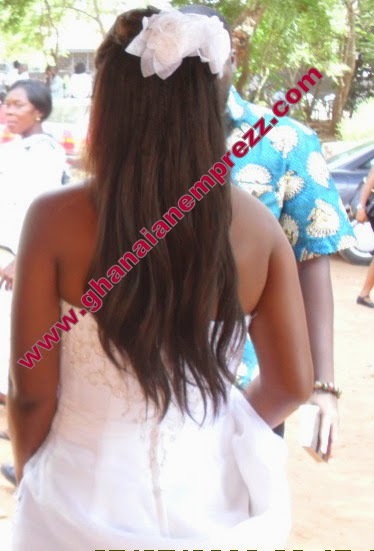 Though I didn't know much about hair care at that time, I sailed through the rocky hair choice situation ladies find themselves in during their wedding preparations. Let me share some of the tips I implemented to make my hair style choice stress free. Stick to your go-to stylist or find one ahead of time: This is not the time to experiment with different hair dressers.